A vast majority of people spend their busy days dreaming of adventures that take them far away from the tedious whirlpool of obligations and routines. Well, all this time they were unaware of the second best thing: Assembling a striking relaxing environment, which echoes waves that are rolling over, stretching as far as a horizon. 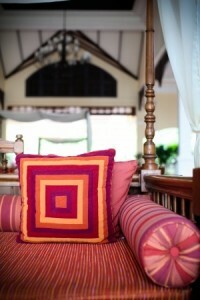 This is a great way to introduce timeless style, beach appeal and joyful exotic accents to your cabin. The days spent inside will never be the same, and the rejuvenating, inspiring presence of the tropical ambience will do wonders for the appeal of the space. So, there is a way to have a piece of an island paradise in your second home, and here I do not mean putting a picture of a tropical beach on the wall. It is time to dive deeper into turquoise water and explore the vast, picturesque spectacle. So, take a good look at your abode. If it features beamed ceilings and louvered jalousie windows, then you are truly blessed. But, do not despair if that is not the case, for there are many solutions you can utilize to evoke tropical charm. For example, you can put pendant drum shades suspended from chains to add a heartily feel. Furthermore, you may give your furniture a retro makeover with relaxed, retro fabrics. However, those who are prepared to invest more money can take a different approach. 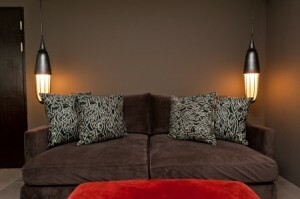 A set of love seats paired up with the sectional sofa creates an instant laid-back, retro appeal. This seating area can accommodate the whole crowd if need be. 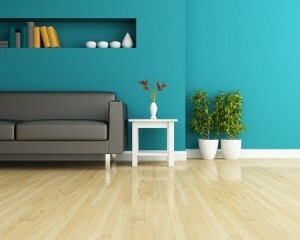 Bear in mind that simple, versatile finishes are preferable when living in a tropical region. 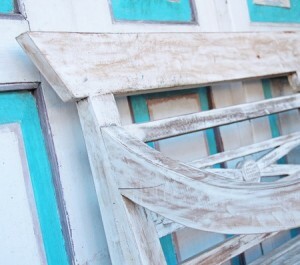 Also, the classic beach look of the ’60 is quite popular and you can complement it with quirky rattan accents. The key is in pulling together a solid backdrop for bold elements and accents to fully shine. 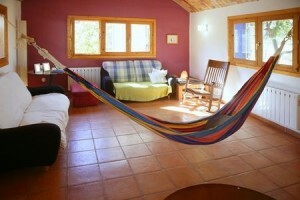 This can be pulled off, for example, with clean walls and whitewashed bamboo furniture. Note that a tropical space is organized and tailored, but also playful and lively. A whimsical touch is always welcome, and it can take the form of frog stools, faux alligator fabric, seashell décor or opalescent wallpapers. To create an airy oasis, do not overlook canopies and throw pillows. Infuse the home with natural elements as well: Lemon tree sconces might be too kitschy for some people, but they are a perfect solution for freshening up the bare stucco walls and dull corners. When it comes to specific decorative pieces, you it is best to immerse into a vivid landscape of culture, customs, and traditions of tropical islands and countries. Use encuentra24, an abundant online resource of properties in Costa Rica, to get the decorating style of the society and their way of living. You might easily fall in love with their offer, and even purchase your third home there. Indeed, there are few things that delight and spellbind us as the Caribbean pearls of the high seas. Also, if the country of your dreams is dotted with mesmerizing lagoons, beaches and bays, you cannot go wrong with décor that originates from the sea bottom. Indeed, many topical-inspired cabins have clamshells in bathrooms, and coral décor sparking attention in the living room. These pieces bring forth the much-needed seaside warmth sensation, which can snuggle you up each day. If you would like to feel as if you are soaking the tropical sun on the pristine white, then a tropical flavor is for you. 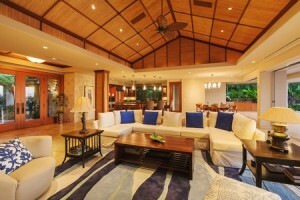 Easy, comfortable environment is the epitome of tropical living. Apart from spending a truckload of money on a once-in-a-lifetime experience, you can also bring a glimpse of the exotic sun into your home. Pay attention to detail and do not go overboard with decoration. Treat yourself with a soothing haven and you will always have an opportunity to get away without actually going away.